We put on a variety of special events focusing on education of the public on the Elizabethan time period. Looking for something special for your next event? How about a sword fight? The Gentlemen Adventurers are available for your school event, theme wedding or even birthday party. During these events we put on combat demonstrations focusing on rapiers, long swords, daggers, quarterstaffs, bucklers or broad swords. 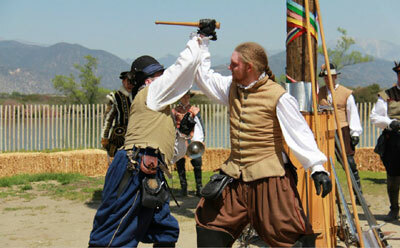 Our members are also trained in proper history from both the Elizabethan and Victorian ages. Please contact us for rates and schedule.